Second day in Cornwall and the sun had taken a day off, funny then that unless you are abroad thoughts drift towards a nice pub lunch….perhaps even a roast. So it was that we decided to take a drive over to St Merryn to find The Cornish Arms, Rick Steins pub. As almost everywhere in Cornwall the drive along country lanes means most places have to be “destination” hostelries and therefore after the drive they better be good or the disappointment can be big. The Cornish Arms is an old pub that has been cleverly extended without taking away the character right down to real log fires and RAF Curlew memorabilia harking back to previous use of the establishment. The menu is not huge and is quite old school comfort food, burgers, scampi, curry etc but all posh nosh style. We both decided on Sunday lunch, D went for the beef and I had the pork. 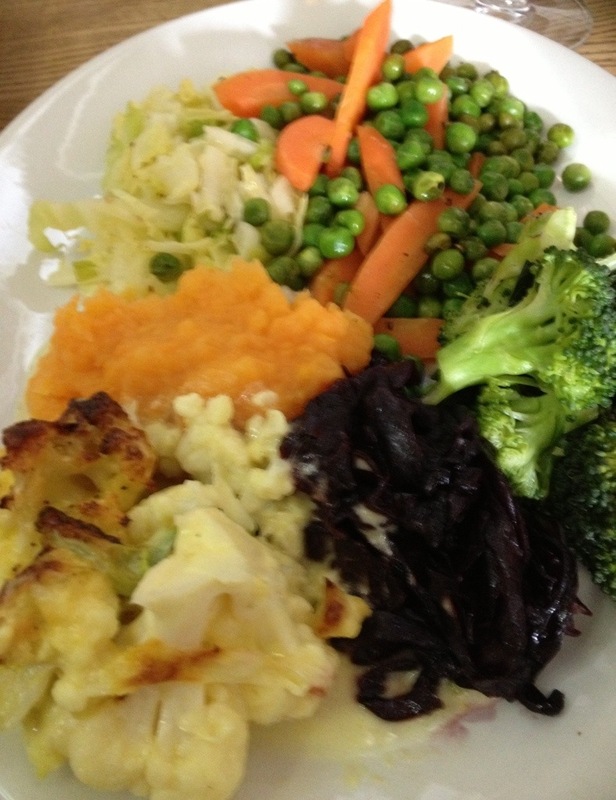 All that needed to be said it’s faultless right down to the plate of mixed vegetables old school form. 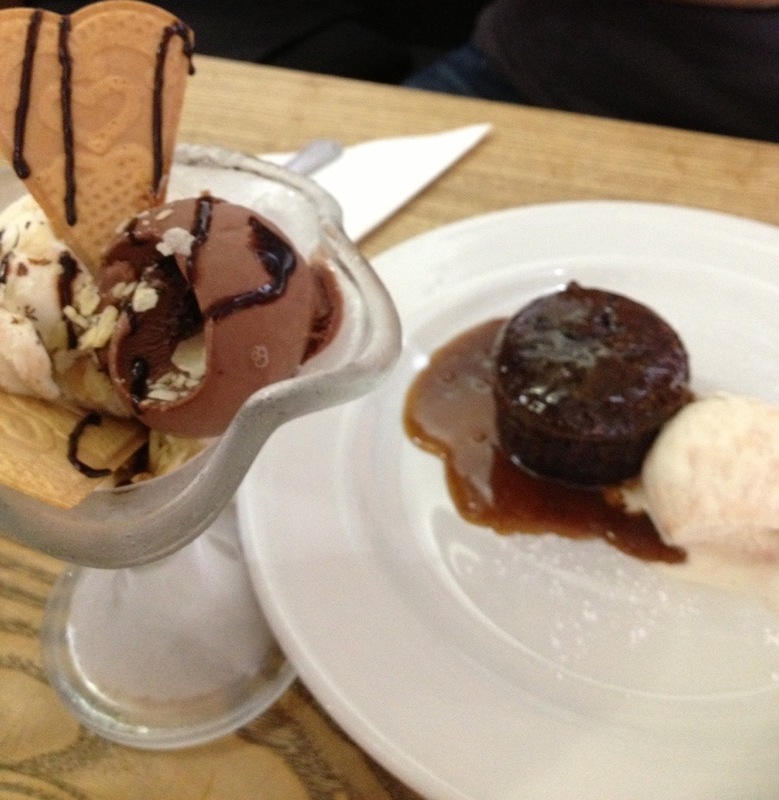 At £12.95 per head or £15 if you had a pudding…we opted to have puddings too, sticky toffee for moi and chocolate nut Sunday for D. Service and value was excellent! We will go again I fancy Mumrez Khan’s lamb and spinach karahi! Booking is advisable even out of season. This entry was posted in Cornwall, gastropubs by dang1980. Bookmark the permalink.